The Bit Stages system helps horse owners narrow their focus from Reinsman’s large selection of bits to the right bit for their situation. 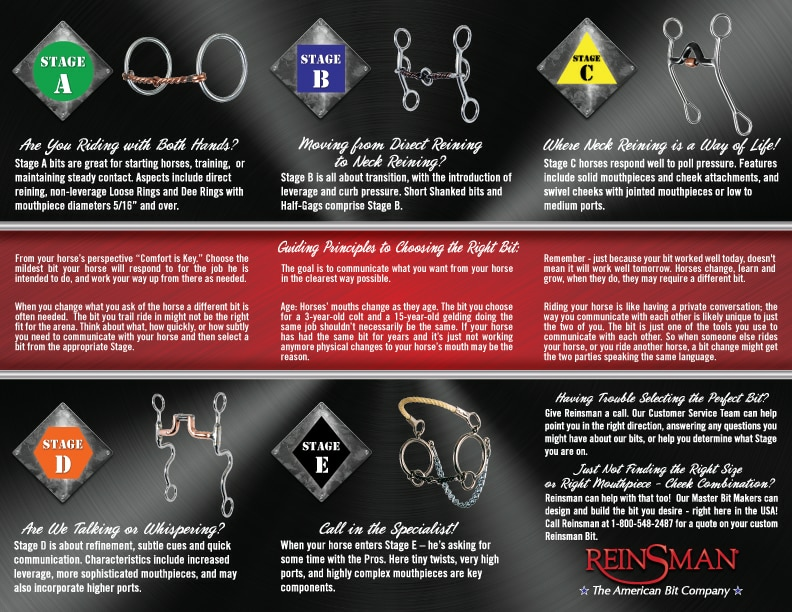 Reinsman’s Bit Stages approach focuses on the horse and rider in their specific situation, as different events and circumstances call for different bit choices. Stage D: Are We Talking or Whispering? Stage D is about refinement, subtle cues and quick communication. Characteristics include increased leverage, more sophisticated mouthpieces, and may also incorporate higher ports. 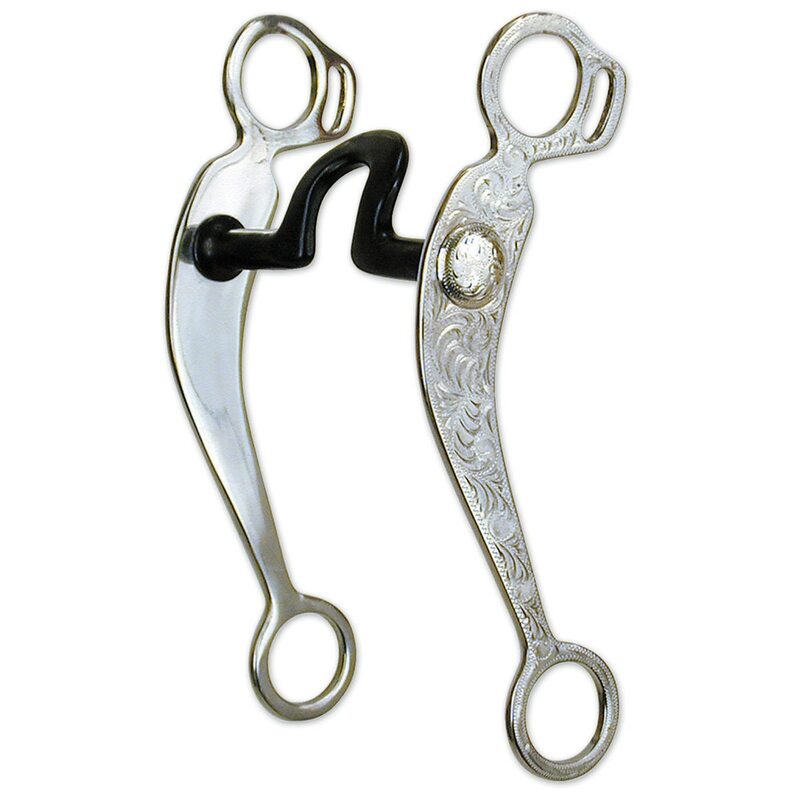 If you liked the old Sliester Hackamore, you will love this new improved swivel shank version that helps maintain control of the horses’ nose. The Power Hack works off nose and jaw pressure to increase front to back control for collection and stopping. The flat hand-made leather noseband, combined with our best selling Power Curb creates light contact and provides both front to back and lateral control. Excellent choice on trail, roping, barrel racing and all timed events horses that work better in a bitless bridle. For more information about the Reinsman Bit Collection click here!